I did another post today for Aux’s Whisky Rocks competition, today giving a couple reasons why you should arrive early and see the opening band. 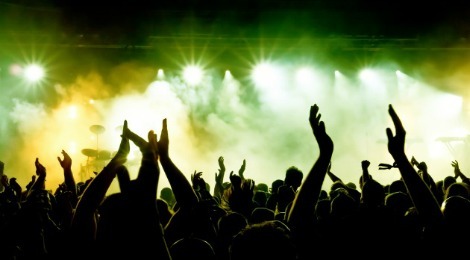 Are you a concert goer that arrives just in time for the headlining band? If so, this post is to let you know that you might be missing out. Here’s my top reasons why you should arrive early to catch the opening band. I hate paying for things that go unused. The best example in my life (and I’m sure others) is all the vegetables that go bad in your fridge before you get the chance to eat them. A concert to me is no different. You’re paying the ticket price, which pays all the bands that perform (or at least it should). Why wouldn’t you want to get your money’s worth? You can expect that arriving before the headliner hits the stage will give you ample opportunity to find a great spot in the venue for the main act (assuming that the show is general admission, not assigned seating). If you’re unfamiliar with the venue, you’ll want to know which places have the best sightlines, but most importantly, which places in the venue have the best sound. Being stuck too far back, or worse behind a pillar, is the worst when you actually want to see the band perform. As a rule of thumb, I normally stick close to the sound booth. Why? Well, they obviously have a good sightline to the stage (to see what’s going on), but also they’re tweaking the sound for the room to that general area. Its probably far enough back as well so you will never get too squished, like the super fans up front. Just like stretching before going on a long run, catching at least some of the opening band will help get you in the right mood before the headliner. I always use it as a chance to have a drink or two and loosen up, start moving my dancing (or at least swaying) legs and get my ears ready to enjoy some live music. A lot of thought and work goes into pairing opening bands with headliners. The goal really is to book new bands (with talent of course) that people are going to be impressed by. The real focus though is finding an opener that sonically compliments the sound of the headlining band. The rationale is if you like the sound of the headliner, you’ll at least be likely to like the sound of the opener. Remember, all great headliners were openers at one point. Keep your ears open, you never know what you’ll discover (and end up liking) if you pay attention. Those are my reasons for getting there early, what drives you to make it for the opener?